Is it a nerf too far or a perfect balance? In an update to the Rainbow Six Siege Technical Test Server (TTS) today, CBRN operator Lion has received a long-awaited rework. 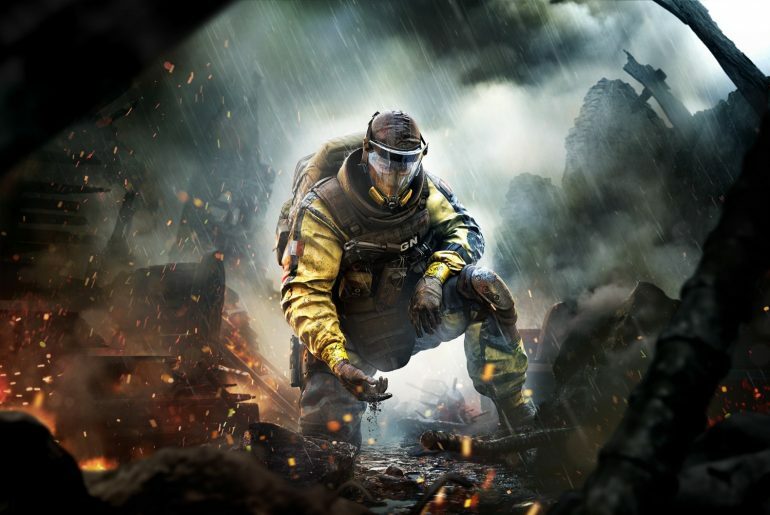 The operator has been disabled in professional play since November after the community voiced their discontent over the strength of his gadget, EE-ONE-D.
His EE-ONE-D scanned defenders after a three-second warning, and if the defenders moved during the four-second scan their positions would be revealed and their character models outlined. Given the amount of information the ability gave, it was overpowered in coordinated play, leading to many people in the community to ask for a rework. His new EE-ONE-D scanner operates in a similar way to Alibi’s Prisma detection, where enemies will be tracked by a ping debuff instead of their outline. This ping debuff is only applied a maximum of three times throughout the scan, meaning defenders have more of a chance to move around during the scan. Additionally, Vigil can hide himself from the scan by using his ERC-7 gadget, meaning there’s a new counter for Lion. While there are more charges of the scan (up to three from two), and a shorter cooldown between them (down to 15 seconds from 20), it’s no longer the game-breaking gadget it once was. Community reaction has been mixed, with the operator’s fans disgruntled with the change, while others are happy such an overpowered ability has been removed from the game. The other major change on the TTS update include a change to Capitao’s bolts. The damage on his asphyxiating bolts has been reduced by almost half, but to compensate, the area of effect for them has increased. The bolts are also affected by gravity after ten meters, making them harder to aim. You can play the new Lion rework right now on the Rainbow Six TTS.